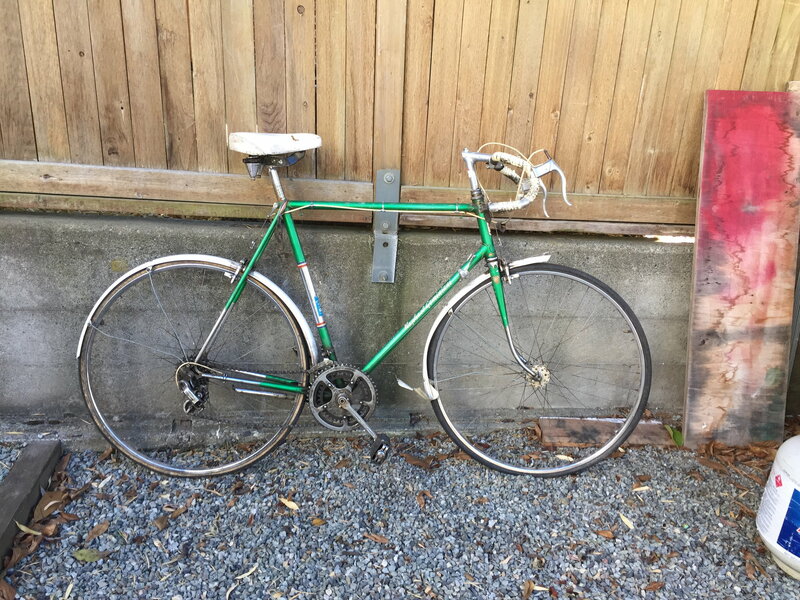 Found this bike on Craigslist, wondering if its worth the price. It looks to be just dirt so I think that with a deep cleaning it might turn out good. I would take a pass. The wheels are cheap replacements with poor quality tires. The rear Mafac brake appears to have been replaced, the overall condition is poor and would require you to do a complete disassembly and service. The costs will get you into something much nicer with much less grief. As well, Jeunets were very nice bikes but relatively unknown to many and would prove to be a tough resale should you ever decide to do that. Although I can’t dispute BertinJim’s comment, I’d definitely go take a look at it. But it depends on what you hope to do with the bike. I would clean it and ride it, so the price would not be too bad for me. I have one of these, it's a Model 620. Carbon steel frame. French threaded headset and bottom bracket. 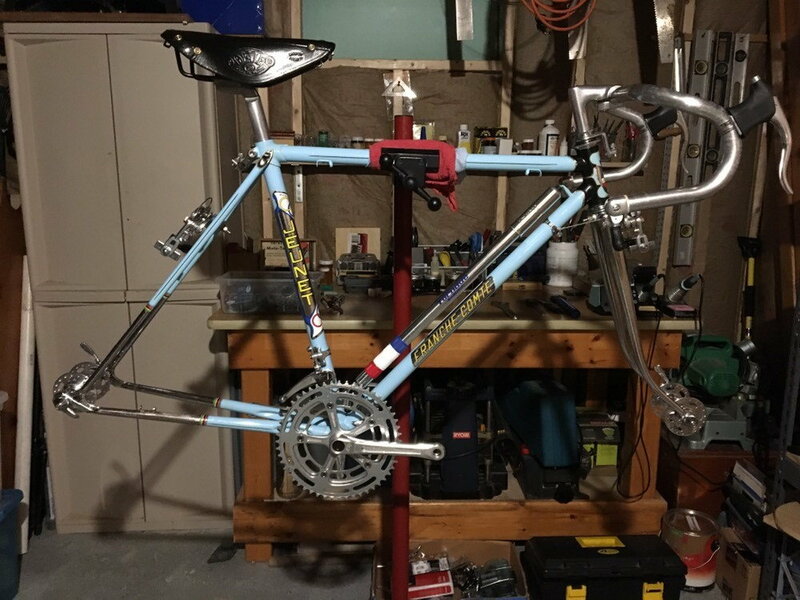 The subject bicycle is a Jeunet River Doubs, which was their club racer model and roughly equivalent to a Peugeot PA10 or Gitane Interclub. As such, it was basically an entry level model with a tubular wheelset. However, as noted by BertinJim, the tubulars have been replaced by a set of basic, steel rimmed, 27" wheels with nutted hubs. In addition to the previously mentioned rear brake, the Simplex down tube shift levers have been converted to stem shifters (Shimano Fingertip?) and the MAFAC brake levers converted to Weinmann/Dia-Compe with safety levers. The price is not unreasonable but you're looking at a hi-tensile tubeset, steel cottered crankset and low end Simplex Prestige derailleurs. Given the condition, the bearing races would all be suspect and in this case you're looking at metric standards, which can make replacements more difficult and expensive to obtain. I'd pass too. T-Mar, I saw a post of yours from 2013 where you listed the Jeunet models-- So, the Model 620 and River Doubs refer to the same bike, correct? As best I can tell, mine is a 1975 model but I'm not sure. The serial number on the dropout runs off the side but I think I see the top of a "5" as the first number. Most of the 620's I've seen have the frame pegs on the top tube and mine are on the down tube. Don't know if that changed from year to year. Yes, your bicycle's model name is the River Doubs, while 620 is the model number. The Doubs river flows through the centre of the city of Dole, which is where Jeunet was located. Jeunet's head badge is Dole's coat of arms, while Franche Comté is the region of northeast France in which Dole is located. Last edited by T-Mar; 12-06-18 at 10:07 AM. $30 got me a piece of France , and I just got some tires so I may polish up the spokes on the original wheel. Last edited by Mr. 66; 12-06-18 at 12:02 PM. You need to get out more. And you can have a piece of France. Is this one worth $30? That depends on a few things. If you want to flip it and don't already have the necessary pieces, it isn't. If you have a healthy spare parts collection and/or want to use is as a daily rider, heck yeah!